The most outstanding achievement of the physicians practicing during the Islamic Golden Age was in ophthalmology and the study of the eye. The work of the Islamic scholars in developing sophisticated techniques was remarkable and their outstanding texts were used until very recently. The Islamic ophthalmologists invented many subtle and advanced techniques for performing surgery on the eye, vastly improving the quality of life for thousands of people. Not only did the Islamic scholars study the eye in detail, but also they linked these studies with their work into optics and the physics underlying vision and the nature of light. The main contribution of the Islamic scholars to ophthalmology was the establishment of eye hospitals in some of the major cities of the Islamic world, including Damascus, Cairo and Baghdad. In a structure common to Islamic medicine, these centers incorporated teaching and research facilities alongside the treatment of patients. The first contributor to Islamic ophthalmology was Al Masawaih (777CE – 857CE), an Iraqi scholar who moved to Cairo and delivered a treatise on eye conditions to the Fatamid ruler, Al-Hakim. This landmark work discussed 48 conditions, in detail, and included many cases, including the removal of cataracts with a hollow needle through suction. 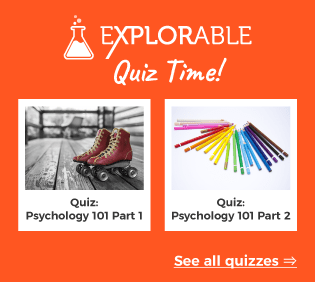 This method may have been first used by the Greeks, namely Antyllus, in the 2nd century, but it would remain largely unknown to Europeans until well into the 18th Century, where it was described by Daviel in 1748. However, the work of Al Masawaih work would be eclipsed by another great scholar of Islamic medicine, Hunain Ibn Ishaq. Hunain Ibn Ishaq (808CE – 873CE) made some sophisticated contributions to Islamic ophthalmology, under the tutelage of Al-Masawaih. When we discuss the ‘Islamic’ Golden Age of Science, it is important to recognize that this does not mean that all of the scholars involved were Muslims, more that the Islamic Age provided a backdrop for discovery and actively encouraged and sponsored scholars. Jewish and Christian scholars also made great contributions to knowledge; Abd Ibn Ishaq is an example of one such man who was a Christian, yet earned a huge amount of respect for his work. His main contribution was in translating many Greek texts into Arabic, ensuring that the work of such scholars as Galen, Aristotle and Hippocrates was not lost, and his work, ‘Ten Treatises on the Eye,’ documented the work of these earlier minds. However, Ibn Ishaq was more than a translator and also wrote many detailed books about Islamic medicine, showing that he was a skilled surgeon as well as a translator. He wrote 29 books and his Al Masa’il fi at-Tibb, ‘Introduction to the Healing Arts,’ was a standard textbook for examiners testing physicians for their worthiness to attain a license. Hunayn’s ‘Ten Treatises of the Eye’ and Isa’s ‘Memorandum Book for Oculists’ included detailed explanations of the physiology of the eye, which passed directly into Europe during the Renaissance and carried many terms still used today, based upon the Arabic rather than the Greek words. Ibn Ishaq wrote a further 10 books concerning Islamic ophthalmology, including many anatomical diagrams, and his work was used and cited by many ophthalmologists and physicians in Europe well into the fifteenth century. He described cysts, tumors and ulcers, pointing out what caused them and also laying out recommended treatments and suggestions for repairing cataracts. Al Rhazes (860 – 932) was the next great contributor to Islamic ophthalmology, developing and recording many fine surgical techniques for repairing damage to the eyes. 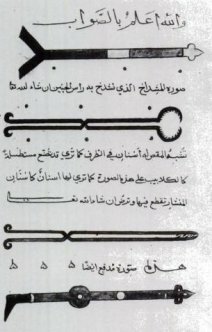 In his encyclopedia of medical techniques, Kitab al-Mansuri, Al Razi documented the removal of cataracts with a glass tube and described the cauterization of lachrymal fistulas, truly innovative work in the field. He was very critical of physicians who generated theories that did not match the practical knowledge and wrote over 900 case studies for many of his medical procedures. 48 of these elaborated upon complicated eye procedures and allowed other physicians and students to learn techniques, rather than use untested theories that might prove to do more harm than good.A third of these case studies did not appear in his book and they are a useful addition to his work in Islamic medicine. Al Haytham (965CE – 1040CE) wrote the Book of Optics and this was a landmark work in the field of Islamic ophthalmology. The book contained a wealth of information about the anatomy of the eye and provided suggestions about how it worked, but also contained ideas about the behavior of light in general. His work was believed to have influenced Newton’s studies into the properties of light. Originally, the Hellenistic philosophers had proposed that vision occurred as a result of rays emitted from the eye, from Euclid and Aristotle’s belief that the form of an object was somehow transmitted directly to the eye. The Islamic scholars, especially Al Haytham, proposed that the light from the source was actually reflected from the object and made its way into the eye, which acted as a passive receptor. He also proposed that the retina of the eye was at least partially responsible for sight, an idea shared by Avicenna. Not only were his findings an advance upon earlier ideas, but he used a very scientific method of disproving the ideas of the Greeks and suggesting alternatives, in a very early example of the use of a scientific method. 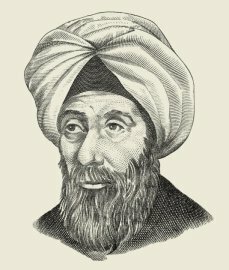 He used experimental apparatus, such as the camera obscura, to test his findings and earns a place not only in the history of ophthalmology, but also as one of the major contributors to Islamic physics. Whilst these three Islamic scholars were the major contributors to the burgeoning science of ophthalmology during the Islamic Golden Age, other contributors also added to the store of what was known about vision and the eye. Their work contributed greatly to the wealth of knowledge contained within Islamic medicine. 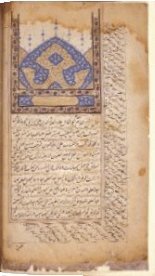 Ali Ibn Isa, who practiced in 10th Century Baghdad, wrote an ophthalmetric eye manual relating over 130 eye conditions, called the Tadhkirat al-Kahhalin, ‘The Memorandum Book for Oculists.’ This became a standard text for oculists and combined the Greco-Roman knowledge with original observations and techniques. 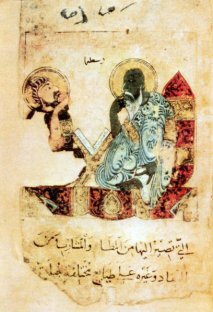 Al Nafis, in 1210, wrote a treatise titled ‘The Perfected Book on Ophthalmology,’ which dealt with theoretical concepts, including the physiology and structure of the eye and the pathology of eye conditions. The second part related some of the techniques for curing afflictions, in great detail, and added to the great store of wisdom that was passed around the Islamic world and later found its way into Europe. In 12th Century Spain, the scholar, al-Ghafiki, wrote a detailed treatise upon the treatment of eye disorders. This work contained detailed explanations of eye conditions and their surgical and pharmaceutical treatment, and included a section concerning the ethics of oculists. This ethical code may have passed into the European sphere via Spain, the main conduit for the passing of Islamic medicine into Europe. 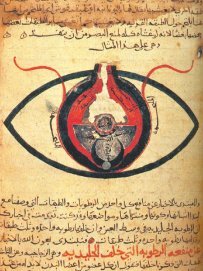 In 1258, Al-Kaysi wrote a treatise elaborating upon many conditions, and he described eye physiology and treatments, incorporating new techniques not described by many of the earlier writers and oculists. Also in the 13th Century, Khalifa bin Abi I Mahasin penned a book which elaborated upon the work of earlier oculists. The work also included illustrations of many of the instruments used in the treatment of eye conditions, most of which would not look out of place in a modern setting. His book describes the process of using a magnet to remove the fragments of an iron needle, a truly sublime addition to the extensive number of procedures regularly used by Islamic oculists. 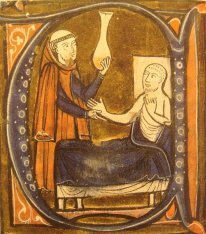 The legacy of the Islamic oculists lives on; oculists, like physicians in general, were treated with a little disdain in the Greek and Roman worlds, partly because many of their techniques were so crude and misguided that they were likely to cause more harm than good. Whilst there were still a large number of charlatans and fraudsters in Islamic times, the Muslims brought in strict ideas about certification, with punishments for unlicensed practitioners of Islamic medicine. Whilst relations between the Islamic and Christian worlds were often fractious and marked by wars, there was an exchange of ideas. The great work of the Islamic ophthalmologists was translated into Latin and acted as the foundation of the science in Europe, with many Islamic texts used well into the nineteenth century. The Islamic oculists used many sophisticated treatments for external injuries to the eye, many of which are completely recognizable to modern oculists. For example, styes were seen as an abscess and were treated by rubbing with hot bread; modern hot compresses do exactly the same job. Trichiasis, where ingrowing eyelashes scratch and damage the surface of the cornea, leading to gradual blindness, was treated by removal of the hair and the cauterization of the root with a red-hot needle. In conclusion, Islamic work was certainly based upon the findings of earlier cultures, especially the Greco-Roman and Indian traditions, but they also added and refined many more techniques of their own. Islamic ophthalmology increased the body of knowledge available and saved the sight of countless thousands of patients suffering from afflictions of the eye. Their contribution to Islamic medicine was immense and underpins the work of modern practitioners in the field.